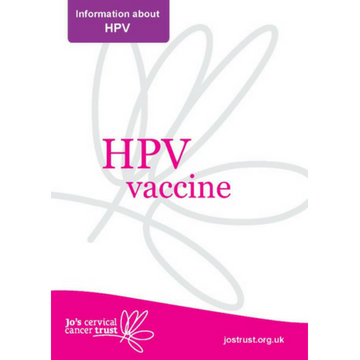 This A5 booklet is about the human papillomavirus (HPV) vaccine. It explains what the vaccine is, who can have it, and how effective it is. It also talks about side effects and safety. Last reviewed August 2018. Next review August 2021. Available to download as a PDF or order as a printed booklet.